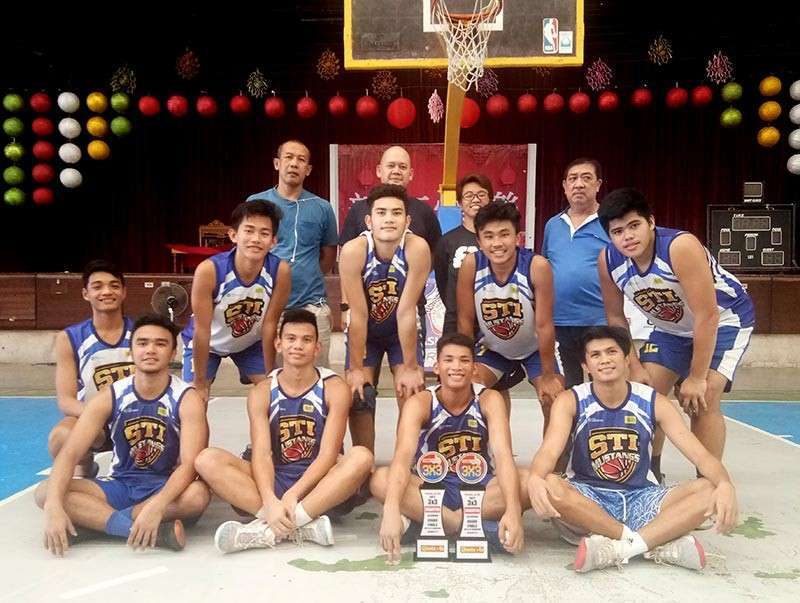 THE STI-West Negros University (WNU) Mustangs survived tough challenges from their University of St. La Salle counterparts to capture the U-18 (Born 2001) and U-20 (Born 1999) division titles in the recently-concluded Chooks-to-Go National Basketball Training Center 3X3 basketball tournament Bacolod Leg played at St. John’s Institute. Following a seesaw scoring in the early minutes of the U-18 finals, STI-WNU B pulled away with a couple of shots from beyond the arc to edge La Salle, 13-8, to claim the overall title. En route to the finals, STI-WNU B dominated STI-WNU A, 21-7, while USLS survived Bacolod Tay Tung High School, 14-12, in the semi-final match. On the other hand, STI-WNU B escaped USLS B, 17-15 in overtime. Both teams exchanged baskets from the opening whistle to the final buzzer where it ended 15-all at end of regulation. In the semifinals, STI-WNU B downed USLS A, 14-7, while USLS B upset the University of Negros Occidental-Recoletos, 10-8 on a buzzer-beater. Winners of the Bacolod Leg will now focus on their preparation for the 2019 Western Visayas Regional Athletic Meet in Roxas, Capiz on February 17 to 23.